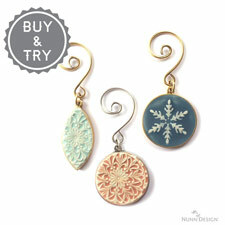 Metal stamping onto Nunn Design Blanks is different than stamping on other alloys. 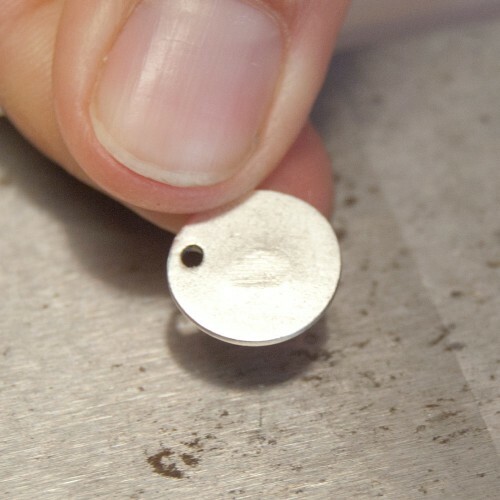 Blanks are cast in lead-free pewter and then plated with precious metals for, rubber stamping, metal stamping and engraving. 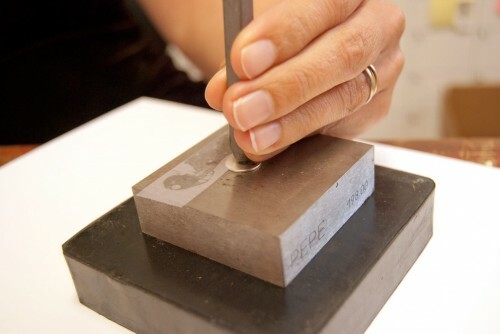 Stamping on pewter does require some education in order to have consistent success. 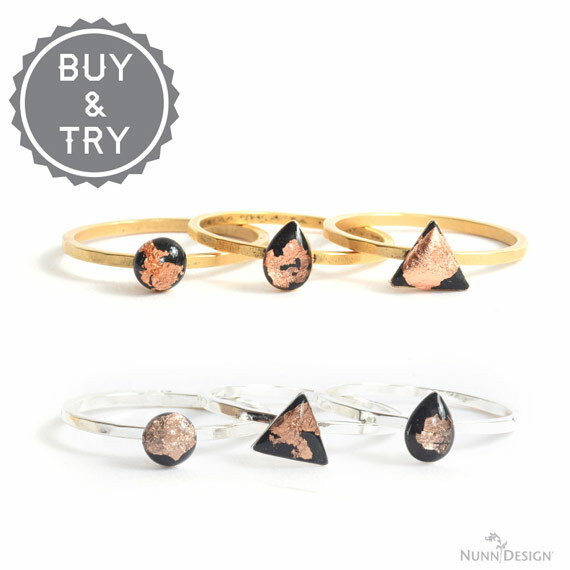 Nunn Design Metal Stamping Blanks are cast in lead-free pewter and plated with copper, 24k gold and .999 fines silver. 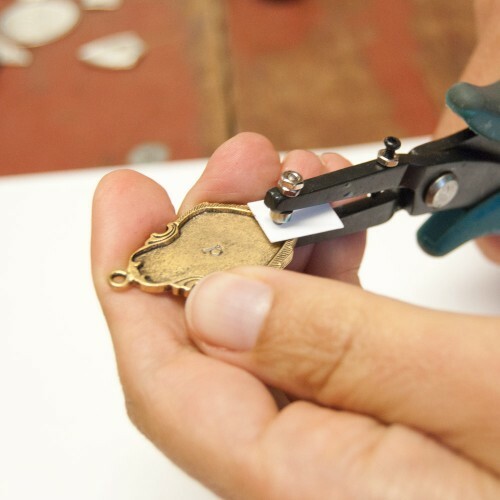 A secondary plating process of adding oxidation to the tags creates an aged finish to the precious metal. Only use a wet wipe to clean the surface of the stamped tag, not a polishing cloth. If you do use a polishing cloth, and really go to town with polishing, you will eventually rub away the plating. 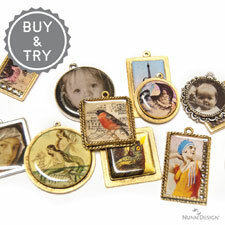 For best results, tape your Nunn Design Metal Stamping Blank onto a steel block for stamping. This will provide a firm and flat surface. 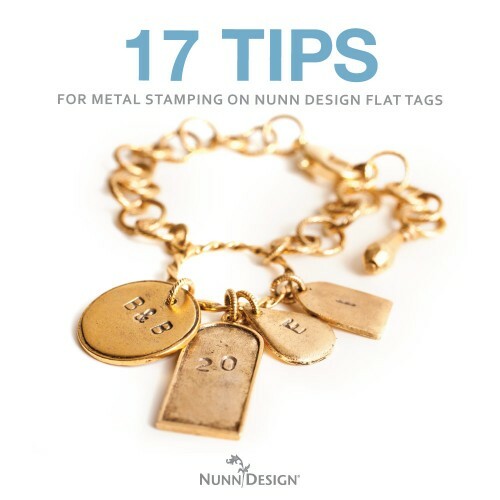 You will not want to use any type of permanent pen or Sharpie Marker on the Nunn Design Metal Stamping Blanks when marking your tags. 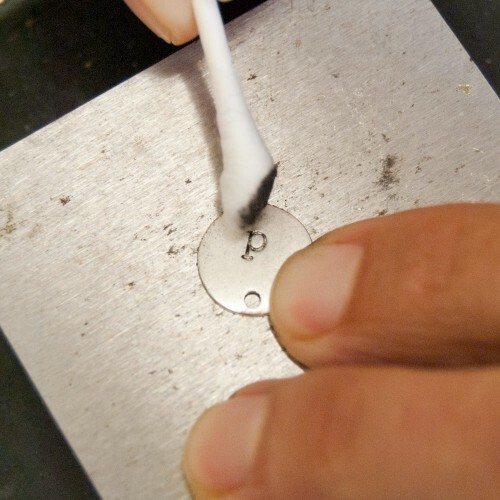 Permanent Markers will not be removable when you go to clean the surface. 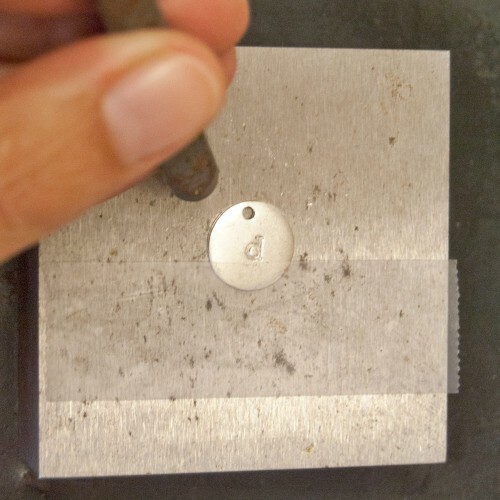 Use a pencil to provide a stamping guide. When using your stamping hammer to make your impression, grip close up to the hammer’s head. This will allow you to strike with less impact, more of a “bing” than a “bang”. 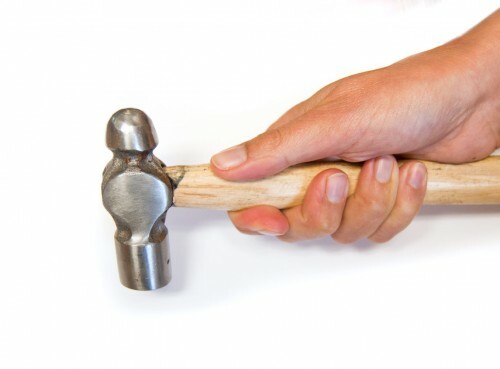 For best results use an 8oz Ball Pein Jeweler’s Hammer. When “binging” the Nunn Design Metal Stamping Blank, you should be certain that the metal stamping tool is held firmly (but not too tightly) with your fingers and held upright. Resting your fingers on the metal stamping base will also allow you to keep the stamp steady and to not slip when binging. When you “bing” – do it initially just one time. If you “bing, bing” you run the risk of the stamp slightly moving and creating a shadowed image. If you “bing” and it isn’t enough of a “bing” to provide a good impression, you can line up the stamping tool in the impression and “bing” again to provide a deeper impression. Metal stamping forces the metal to move, it doesn’t just go someplace else. If you stamp too close to the edge of the Nunn Design Metal Stamping Blanks, it will distort the shape and potentially chip the plating. Stay away from being too close to the edge. If you “bang” too hard, you could chip the plating both on the surface and on the backside of the blank. Don’t get me wrong, you do have to “bing” with some meaning, you just don’t want to smack the heck out of it. Once the blank is smacked there is no going back or correcting. When darkening your impression, use a Fine Tip Sharpie Marker within the recessed stamped area. Before you darken your impression with the Sharpie Marker, have a Q-Tip and rubbing alcohol at the ready. 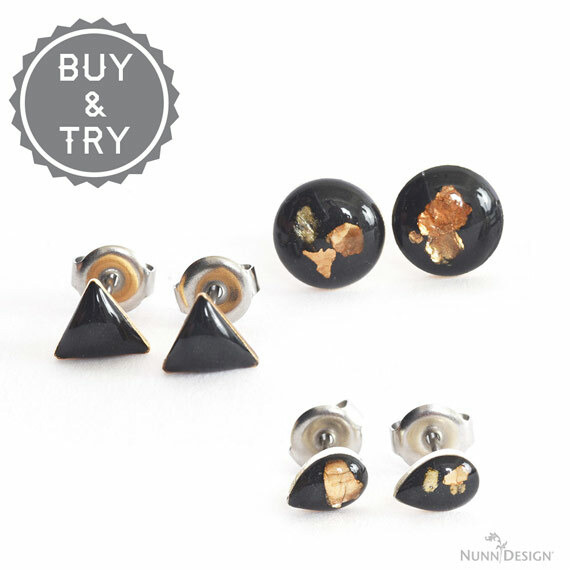 You will want to act quickly to remove the permanent ink from the non-recessed areas. 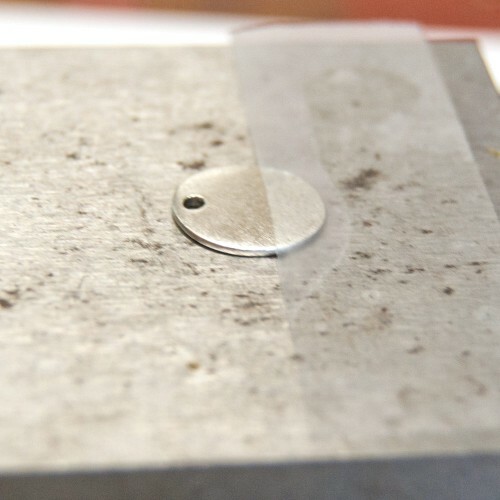 DO NOT use a polishing cloth, for it will remove the precious metal plating from the cast lead-free pewter. 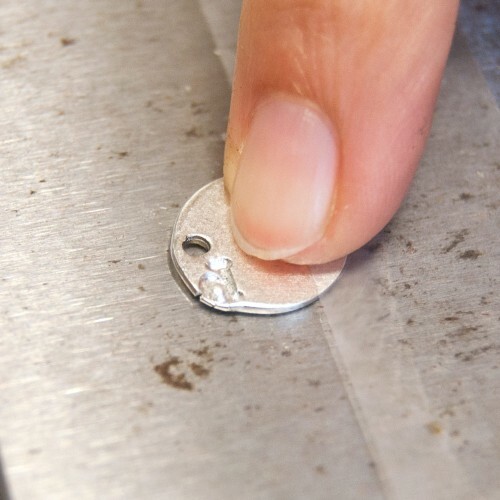 If you are have a surface that does not have a flat back, you will need to place something underneath to prevent the tag from collapsing in the center when stamping. 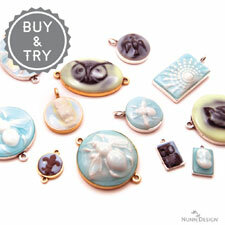 If you have tags that you aren’t happy with, you can cover them with colorized resin! If you want to punch additional holes, cut a small piece of card stock to prevent the punch from damaging the flat tag. The card stock provides a buffer. Before actually punching your hole you can press down slightly without the card being in place. This will provide an indented area so that you can easily line up your punch into the hole while the card stock is in place (making it hard to see). 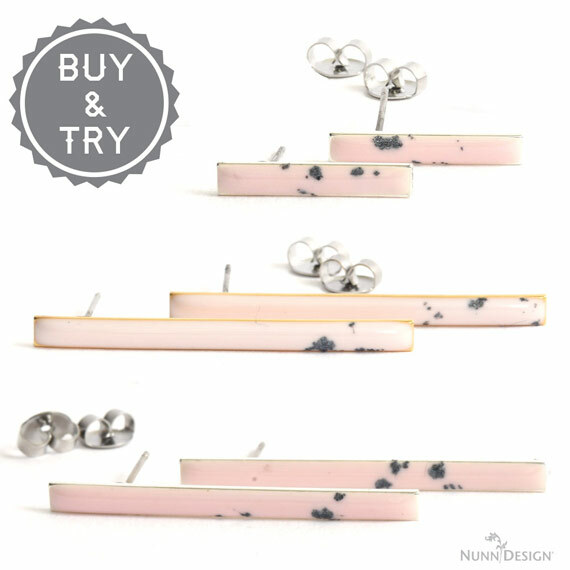 We do not recommend bending the Nunn Design plated pewter tags. 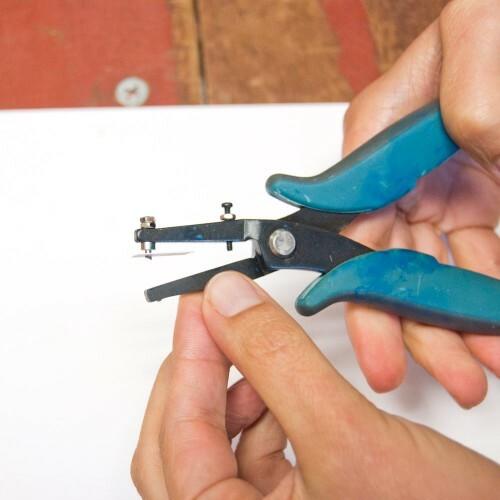 The plating can easily crack when being bent with nylon bending pliers. 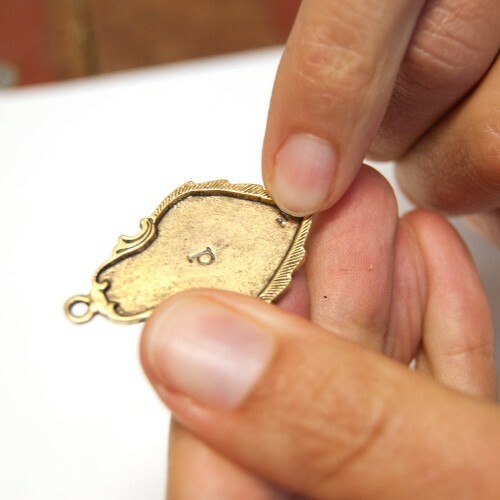 Metal stamping, like any other art form, takes practice. Allow yourself the time to learn this new craft. 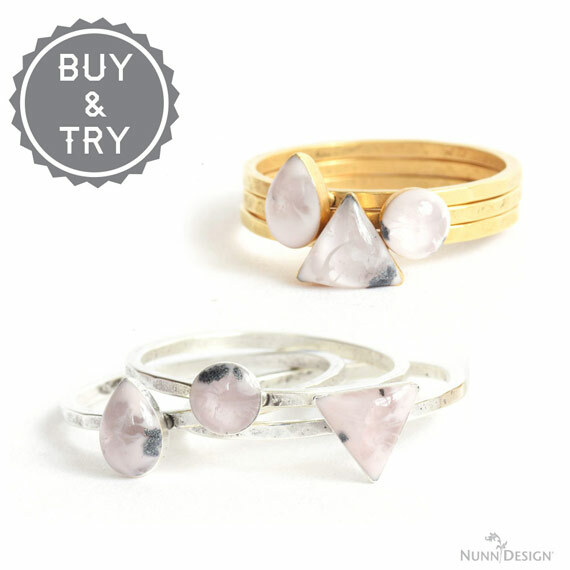 Otherwise, you just won’t have any fun making beautiful jewelry. 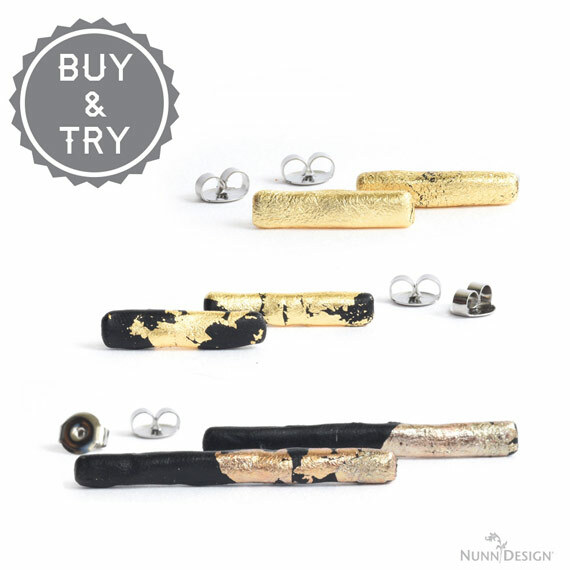 Nunn Design® metal blanks for stamping are designed to accommodate your stamping needs! 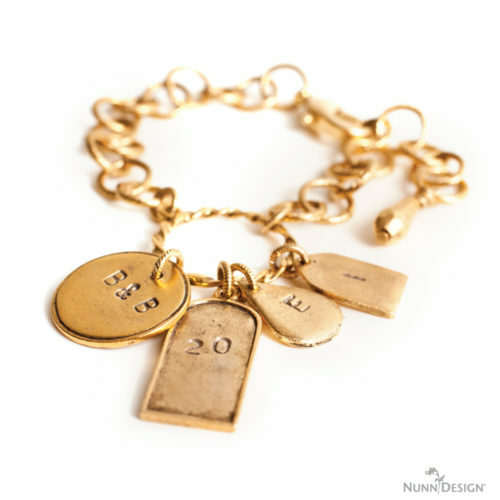 Create a personalized piece or send a message with our quality stamping blanks. 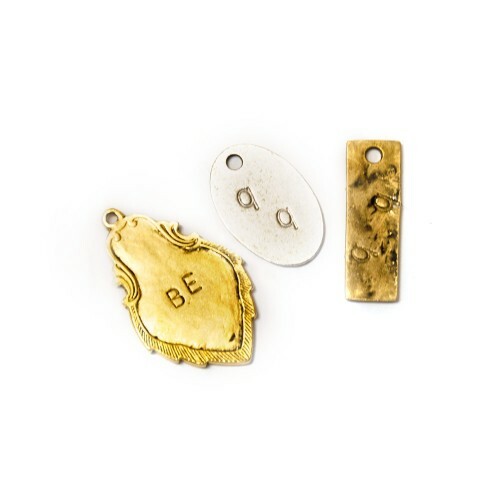 Our blanks are cast in pewter and then plated for rubber stamping, metal stamping or engraving. 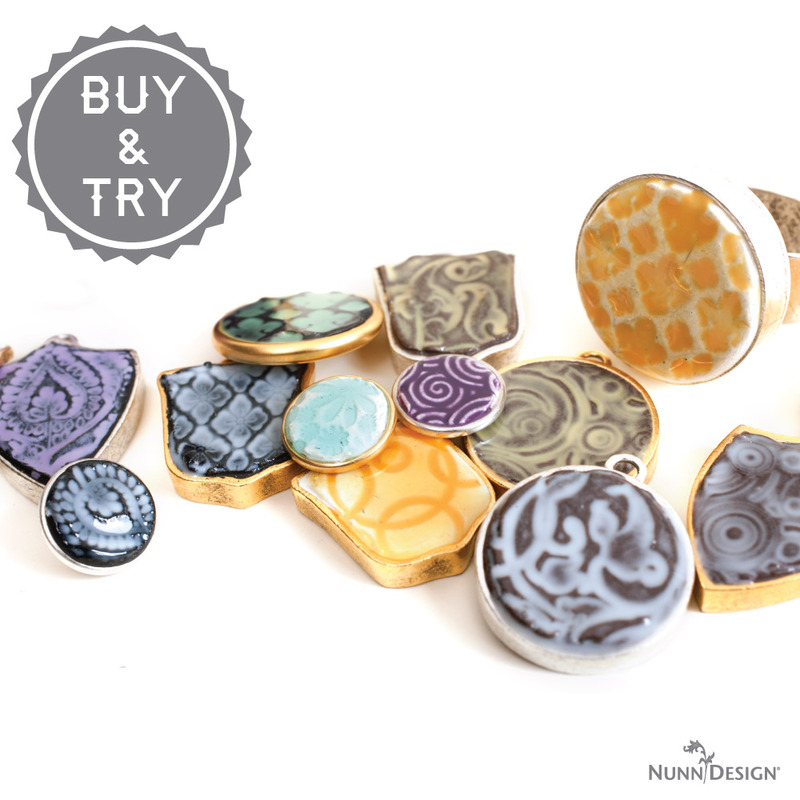 We do not recommend stamping close to the edge or bending the Nunn Design plated pewter tags. The plating can easily crack. 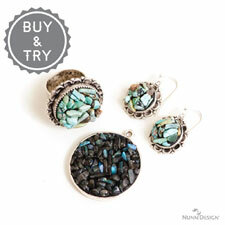 Nunn Design primarily sells wholesale, but we do offer Retail Kits and Retail Buy & Try Programs. We have flat tags to Buy & Try retail in these programs. 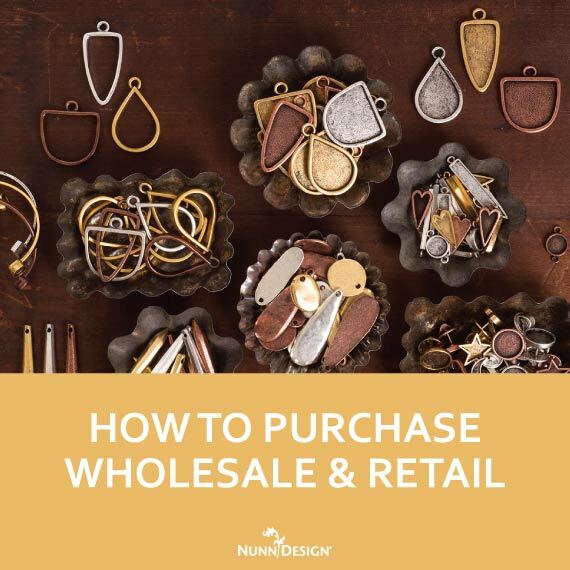 For all other findings, please visit our Where to Buy Page for a listing of online stores that sell Nunn Design Findings retail. Am sharing this tutorial. 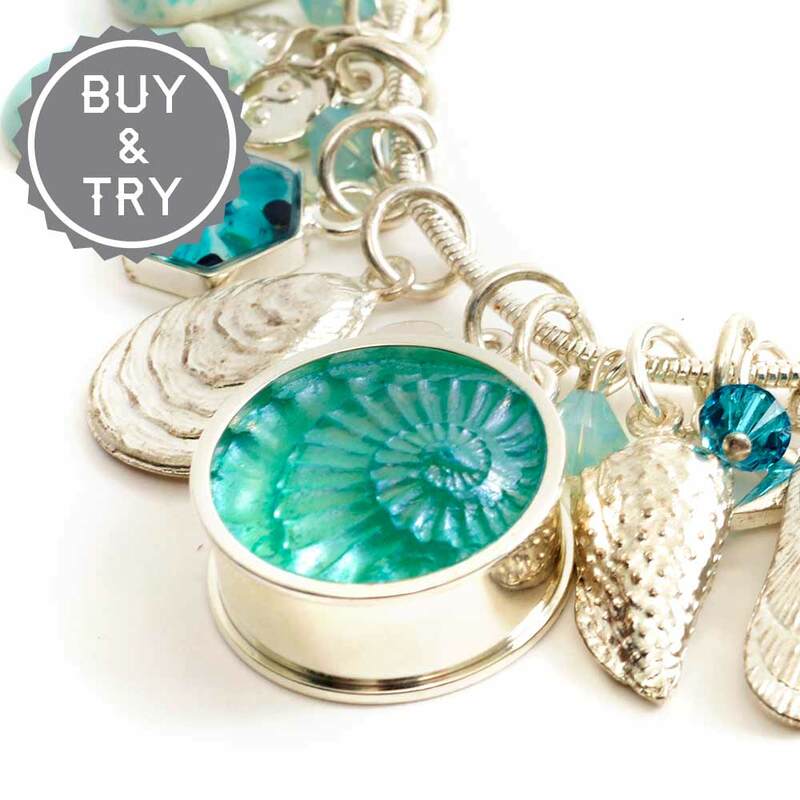 It has lots of little hints and tips that are great for beginning stampers. Great tutorial. I would love to win this giveaway! Thank you so much for the great tips, I am bookmarking and Pinning this post. Great work. Thanks for sharing all the information and tips. This will be so useful me.